*A copy was provided by the publisher in exchange of an honest review. First of all, I had no idea this was released back in 2011 much less that it's part of a series until I made it to the end of the book, or whatever that last paragraph was. 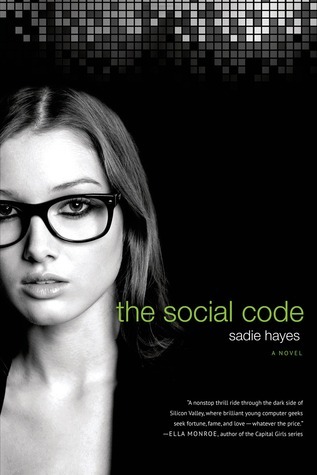 With that aside, The Social Code was an alright, goodish sort of story but it wasn't great. The technical aspect had the potential to be so cool but it all came out a bit overwhelming, as did some of the elaborate details throughout the book. I felt that there was too much going on with all the different characters being focused on that I didn't really get to connect deeply with the two main ones. Overall, The Social Code was alright, not entirely impressive because there were several moments I zoned out, and the writing wasn't exactly poetical where it pulled me into another realm. But I am interested in reading the next book only to see what happens to the twins and their start-up. The summary sounds interesting enough but after your review I'm not particularly in a hurry to add it to my TBR list. Thanks a for an honest great review Shane! Yea this does seem like an average book from your review. It sounds like it could be really interesting but I don't particularly like when other characters are just added to cause trouble or to take up space. The summary sounds interesting, but I'm a little leery of trying it out after reading your review. Maybe eventually... Thanks for sharing! the cover is very cool! too bad it didn't totally live up. I didn't know this was from 2011 either. It seems like I saw this, or maybe the sequel on NetGalley, not sure. I remember being curious about it. I am really glad to read your informative review.